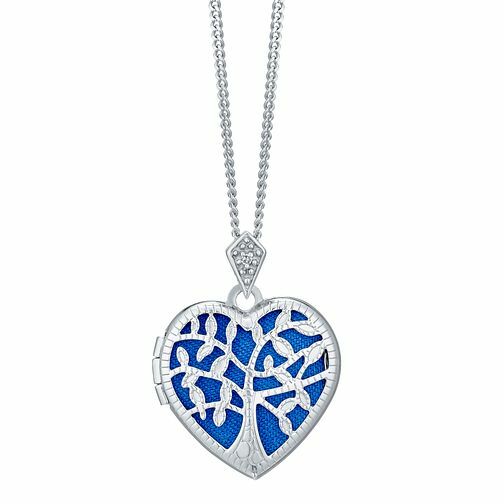 A beautifully crafted filigree heart locket with a cut-out tree design, crafted in shining sterling silver and set on a fine chain. A wonderfully romantic gift, and the perfect place to keep treasured photos or mementos close. Sterling Silver Filigree Cubic Zirconia Heart Locket is rated 5.0 out of 5 by 2. Rated 5 out of 5 by Anonymous from Excellent gift This was bought as a gift for my wife aftr rthe birth of our second child so that my wifd could keep a photo of each as a baby, she lives the necklace and locket, great size and very good quality.